Week Twenty.....What and Where is this! We are packing up and preparing for our multiple week trip East. During the trip through Tornado Alley Michael will be teaching 3 classes. We are hoping not to encounter any tornadic winds! 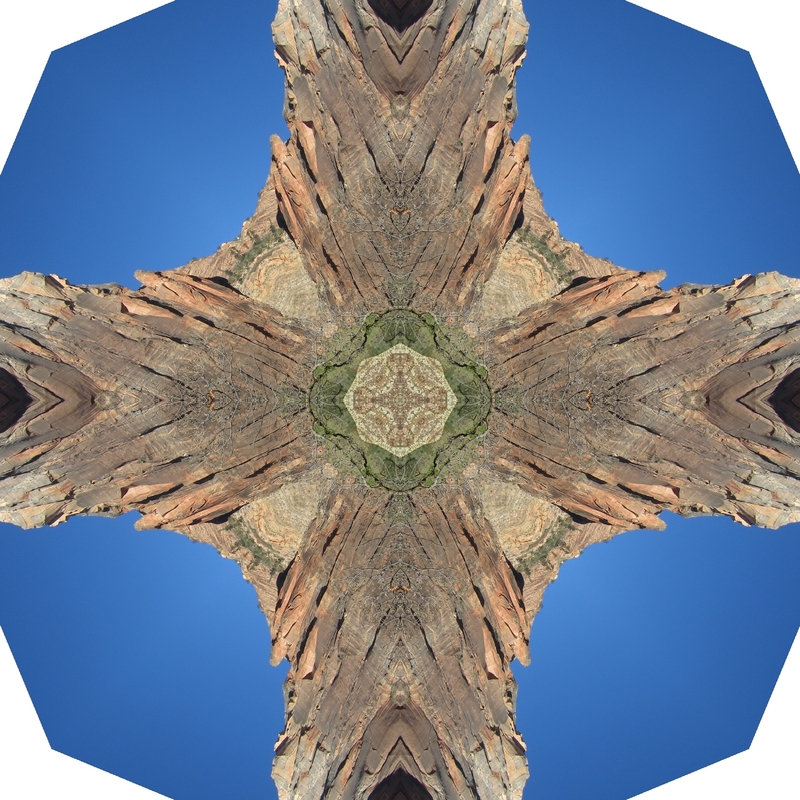 My kaleidoscope is from a picture I took at Zion National Park where we had a wonderful painter's retreat. I am fortunate to be spending Earth Day 2012 in Zion National Park in Southern Utah. 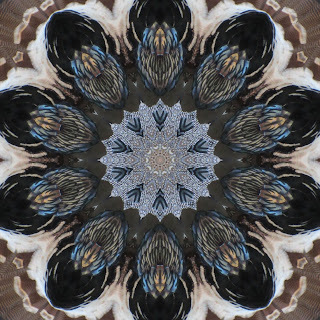 During my early morning walk I came across quite a few wild turkeys and decided I had to make a kaleidoscope out of their image. The kaleidoscope of the turkey. Week Eighteen.....What and Where is this! 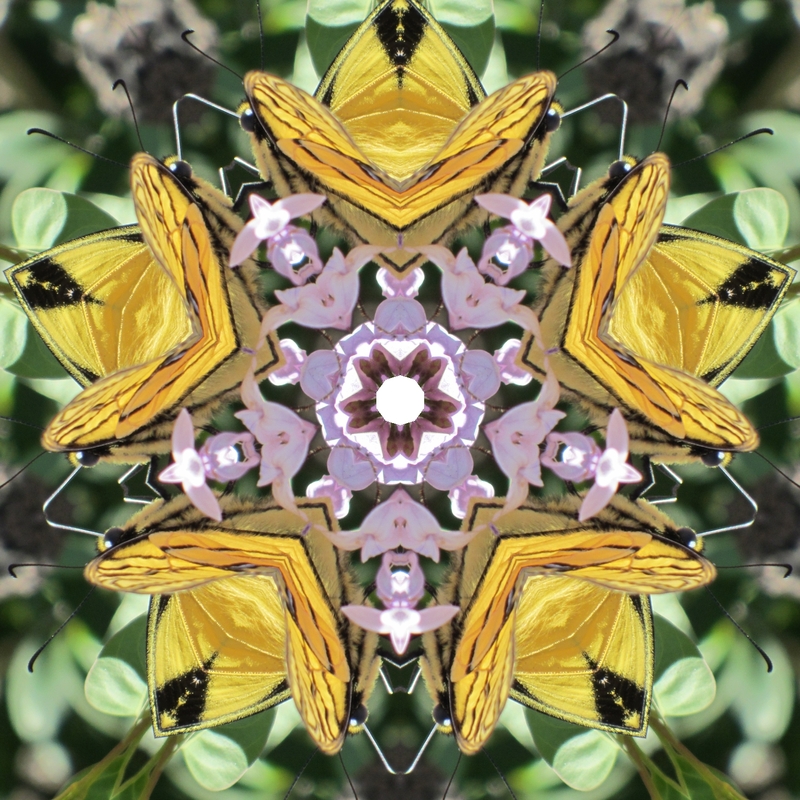 Butterflies in my garden. 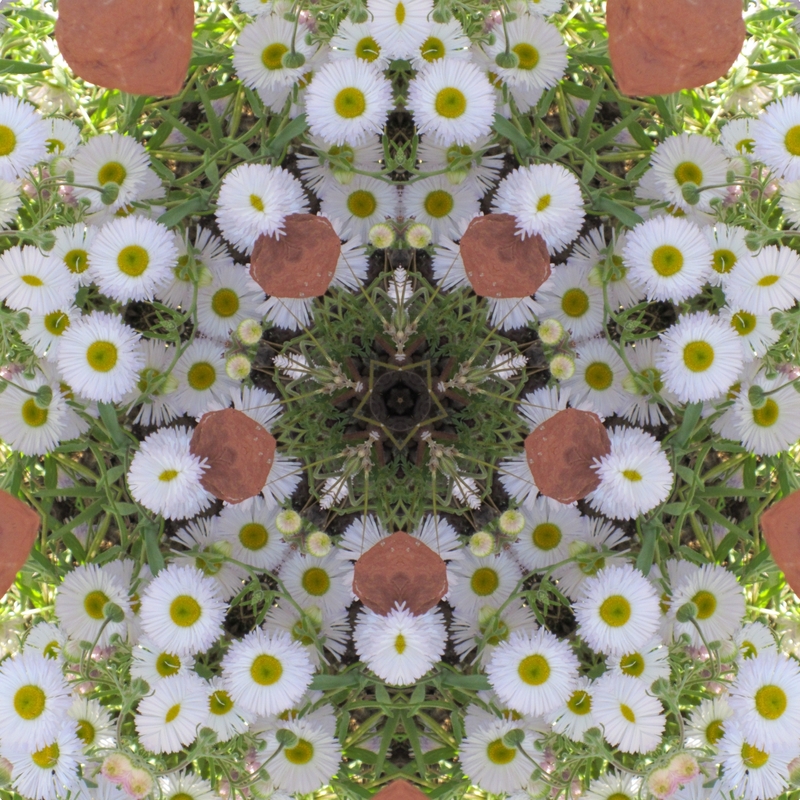 Because I don't use herbicides, I have lots of butterflies, bees and other bugs in my garden. Last week I was able to catch a photo of a really large colorful butterfly on my lilac bush. Michael and I are enjoying the First Annual Plein Air Convention in Las Vegas. Lots of great lectures and demos by prominent Plein Air painters. This afternoon there was a paint out at http://parks.nv.gov/parks/spring-mountain-ranch-state-park/ which was one of the most beautiful places I have ever seen and just 15 miles out of the city limits of glittering and strange Las Vegas. It was just announced that next year the Plein Air Convention will be in Pacific Grove, CA at Asilomar. Hopefully, we will be able to attend next year! Week Seventeen.....What and Where is this! This post is called "weeds in my garden" due to my HOA's classification of all green things as weeds. Unfortunately, here in Arizona, it is considered normal or even "correct" to poison all the green plants that pop up on your xeriscape. It is nuts. You see people spraying herbicides everywhere....it makes easterners concern about dandelions in the lawn like child's play. These guys are serious about their weeds so they spray herbicides constantly on maintenance programs. It is incredibly scary since herbicides are poisons and many are carcinogenic! Meanwhile I have beautiful butterflies which I will feature in the next post and my neighbors are lucky to have anything other than fire ants in their yard! Americans are crazier than coots! I can say that as I am about to return to a more sane country--Canada.